Who is looking for some music flash cards, and games to play them with? Well, today’s review is for you! I’m happy to review the Music Flash Card Bundle by Susan Brown of Warm Hearts Publishing. You can enter to win the bundle at the end of this post! I found the flash cards very easy to print–just print double-sided and only the pages that are actually flash cards. (There are instructions included on how to print them.) I then cut them out and laminated them. The flash cards are perfect for any student who is taking music lessons, younger child through teen. I love that there are game ideas included with full descriptions of how to play them– Name It, Last One Standing, Tic-Tac-Toe, Around the Room, Hot Seat, Grab It, Ball Toss, Spin the Bottle, Two Circles, Flyswatter, Memory, and Scavenger Hunt! The fourth product listed above includes a set of flash cards plus pages of a game to put together called Note Name Keyboard Collapse. One neat thing about this game for 2 players is that each student has his own set of flash cards, so they can be especially suited for his level. 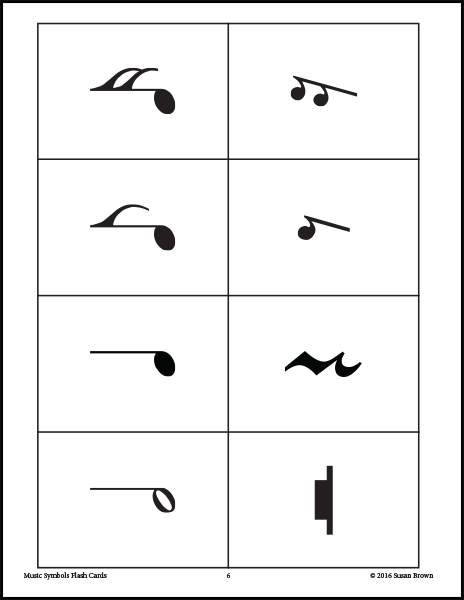 Music Intervals and Key Signatures flash cards include the intervals of middle C in treble clef to all the individual notes up to an octave on a staff. The backs of the cards have labels such as second, diminished fourth, minor 7th. 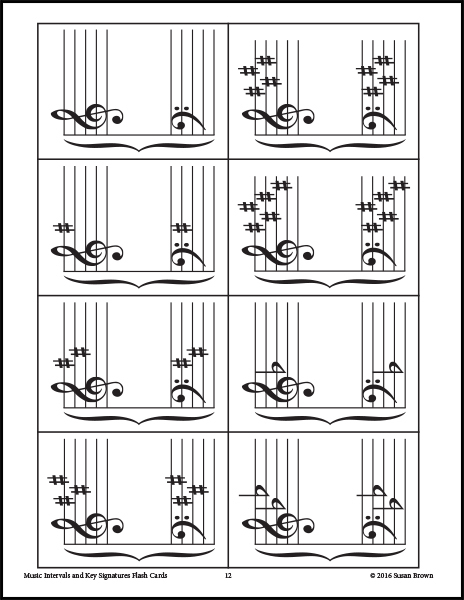 Then there is a set of cards for each key signature: flats and sharps. The back gives both the major and minor key signature such as E-flat major or C minor. I would love to win this giveaway. I am very interested in music. I love your site and would of course love the flash card set. I have 4 students who could benefit. This would add another layer to our music lessons. My oldest 7 are currently taking lessons and would definitely benefit from flash cards! I would love to win this! It would be very helpful in teaching our daughter. Both of my children, 10 & 4, would love this program. They are always asking how music is made. Thanks for the opportunity! I have 3 children who would benefit from this. My little one is still in preschool, but I’m looking forward to teaching him music basics! So important! I think all of my children would benefit from these cards! We’re starting music theory this fall and I’m excited. We are just starting music lessons so this would be fabulous! My daughter loves tinkering on the piano. I home preschool her and I have her watching Little Einsteins to get her introduced to the basics of music. these cards look great. 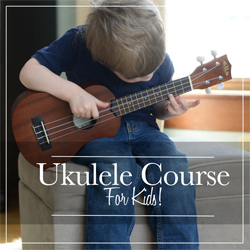 Looks like a good wayto start teaching music concepts as we start homeschooling this year! 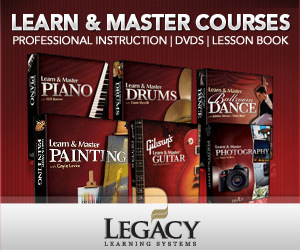 These look like a great addition to add to our at home piano lessons! Thanks for sharing! My children love music! These cards would be a wonderful resource to teach my children music concepts. My 6 year old son and 9 year old daughter would love this. My husband plays guitar and I sing. We lead worship at our church so music is a big part of our lives. Thanks! My kids would love these flash cards. It would be a great addition to our homeschool. I’ve loved music since I was a child. Now, I’m teaching music for grades K-5 at a church school. These would be a tremendous help in my lessons!